Using the car payment calculator at Rockingham Honda, find a great estimate on your next auto loan rate or monthly car lease payment so you can drive around Methuen with peace of mind. Find your purchase price for that shiny new Honda Accord or Honda CR-V with our straightforward payment calculator! Have Questions About Your Car Loan Estimate? For more information about your estimated auto loan interest or lease payments, or for help answering any questions, stop by Rockingham Honda or contact us! We are here to help you with financing. 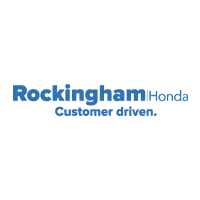 When you’re ready to buy your next new Honda model, get in touch with the experts at Rockingham Honda.